Find out more about all of our offerings here. Do I need a reservation for the Avalon Segway Tour? Yes. While reservations are not required, they are recommended. There are a limited number of Segways available for each tour. To ensure you get to ride, make sure you reserve your spot. This especially holds true on days when cruise ships are in port. Is there food provided on the Avalon Segway Tour? Can I eat and drink while on this tour? Due to the nature of this tour, food and drink is not provided. Please note that alcoholic beverages are strictly prohibited. Guest who are found to be under the influence of alcohol will forfeit their tour and will not receive a refund. How far is the starting point of the Avalon Segway Tour from certain areas? Do I need a reservation to rent an Electric Bike? Yes. While reservations are not required, they are recommended. There are a limited number of Electric Bikes available to rent. To ensure you get to get the bike for the duration you prefer, make sure you reserve your spot early – especially on cruise ship days. Do I need a reservation for the Segway Off-Road Adventure? Yes. While reservations are not required, they are recommended. There are a limited number of Segways available for each tour. To ensure you get to ride, make sure you reserve your spot. How far is the Segway Off-Road Adventure check-in location from certain areas? Is there Food provided on the Segway Off-Road Adventure? Can I eat or drink while on this tour? Due to the nature of this tour, food and drink is not provided. Please note that alcoholic beverages are strictly prohibited. Guests found to be under the influence of alcohol will forfeit their tour and will not receive a refund. Are there restrooms available near the check-in point for the Segway Off-Road Adventure? Yes – there are restrooms available at the Island Tour Plaza – please make sure to visit the restrooms before you check-in. Do I need a reservation for a Golf Cart Rental? While a reservation is not required, it is recommended. There are a limited number of rental carts available. Booking a reservation in advance will allow you to save time and confirm a cart is waiting for you. Guests who do not have a reservation have to wait in line for the next available cart. How far is the Golf Cart rental office from certain areas? Is there food provided with my rental? Can I eat and drink while on the golf cart? Food is not provided as part of your rental. You can eat food while on the cart and also drink non-alcoholic beverages. It is ILLEGAL to consume alcoholic beverages while operating or riding in a motor vehicle in the state of CA. It would be pretty lame to get a DUI in a golf cart. Can infants & children ride in the rental golf cart? Children of all ages may ride as a passenger in a golf cart. Because golf carts are registered vehicles in the state of CA, anyone operating the vehicle must have a valid driver license and be over the age of 25. All applicable laws including seat belt, booster seat, and car seat requirements apply as well. Are there car seats or booster seats available for rent/use with Golf Cart Rentals? Yes – these are provided free of charge on the lot. Car seats and boosters are available for children over the age of 1. If you have an infant younger than 1 year of age, you will need to bring your own car seat for them. There is no charge for use of the car seats. There is a limit of one child seat per golf cart. CA law requires that children under the age of 6 or 60 lbs. be in a child seat. Are there restrooms available near the check-in location for Golf Cart Rentals? While there are no restrooms at the rental lot, they are not far away – either at the boat landing (Cabrillo Mole) or on the Green Pleasure Pier. There are also public restrooms at several other points along the roads where rental golf carts may travel. Do I need a reservation for the Hogsback Segway Tour? How far is the Hogsback Segway Tour check-in location from certain areas? Is there food provided on the Hogsback Segway Tour? Can I eat and drink while on this tour? Are there restrooms available near the check-in location for the Hogsback Segway Tour? There are public restrooms located in the Island Tour Plaza. Please make sure to use them before your start your tour. How far is the Catalina Eco Tour check-in location from certain areas? Is there Food provided on the Catalina Eco Tour? Can I eat or drink while on this tour? Food is not provided for the public tours (2- and 3-hour tours). While food is prohibited on the vehicles, bottled water is welcomed. You will stop at the Airport in the Sky, which has a gift shop and snack bar. There are some quick grab items to purchase, including their world famous killer cookies. Are there restrooms available on the Catalina Eco Tour? There are restrooms located at the Green Pleasure Pier and the boat landing – both are just a short walk from the Catalina Island Conservancy House. There are a couple areas on tour where we may stop for restrooms. The main location is the Airport in the Sky – they have full restrooms plus a gift shop & snack bar. Do I need a reservation for the Catalina Eco Tour? Yes. Because of the intimate nature of the Eco Tour (5-6 guests per vehicle; 1-3 jeeps per departure time), reservations are highly recommended. Do I need a reservation for the Semi-Submersible Undersea Tour? How far is the Semi-Submersible check-in location from certain areas? Is food or drink provided on Semi-Submersible Undersea Tour? Can I eat and drink while on the boat? Are there restrooms available near the Semi-Submersible check-in location or on board? Yes, restrooms are located at the base of the Green Pleasure Pier. Please make sure to use them before you check-in. There is a restroom on board the semi-submersible for emergencies, however it is recommended that you use the restroom before you board the boat. Are there restrooms available on the Catalina Happy Hour Tour? Yes. Restrooms are located at each of the Tasting locations. Please inquire with your guide as to where each restroom is located. Is there food provided on Catalina Happy Hour Tour? Can I eat and drink while on tour? Absolutely! This tour provides six specialty shots or cocktails at five different tasting locations. Two of the locations will also provide light appetizers. All of the food and alcohol is included with the cost of your ticket. How far is the Catalina Happy Hour Tour starting locations from certain areas? Do I need a reservation for the Catalina Happy Hour Tour? Yes. The Catalina Happy Hour Tour has a limited amount of spaces available for each departure time. Do I need a reservation for the Sea Trek Eco Tour? Are there restrooms available on the Sea Trek Eco Tour? 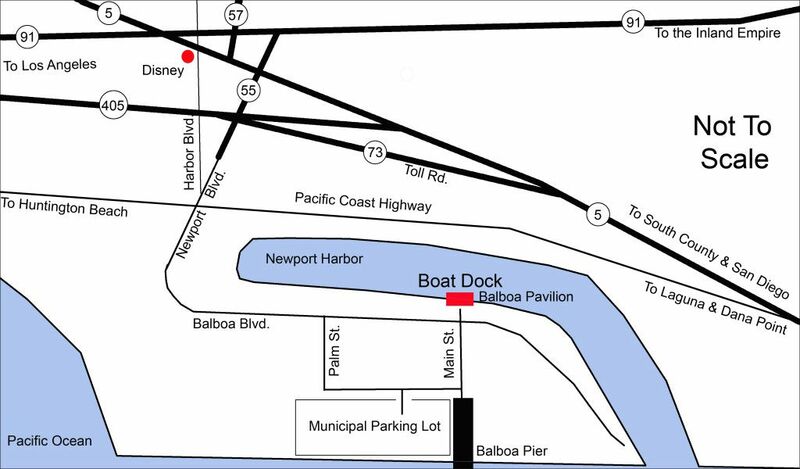 Restrooms are available directly across from the Sea Trek & Snuba booth at Descanso Beach. Please make sure to use them before you check-in. Is there food and beverage provided with the Sea Trek Eco Tour? Due to the nature of this activity, food and beverage is not included with the Sea Trek Eco Tour. How far is the Sea Trek Eco Tour check-in location from certain areas? Do I need a reservation for the Summit Night Adventure? Yes. While reservations are not required, they are recommended. There are a limited number of seats available on this tour. Are there restrooms available on the Summit Night Adventure? Is there food provided on the Summit Night Adventure? Can I eat and drink while on the Summit Night Adventure? Food & beverage are not provided on the Summit Night Adventure. You may bring bottled water with you on tour. Food is prohibited on the vehicle. How far is the Summit Night Adventure from certain areas? Catalina Tours works with all three major transportation companies. We currently offer boat or helicopter service between the mainland (locally called overtown) & Avalon. Who are the main providers you work with for transportation to Catalina Island? We work with two different Catalina Island ferry services – Catalina Express & the Newport Flyer. *Additional fees apply – please speak to our Custom Packages & Groups Team for details. I’d like to rent a golf cart for more than 2 hours. Is this possible? The golf cart rental maximum is 2 hours at a time. Generally, most guests find 2 hours to tour around Avalon sufficient. Golf Carts are not available to rent overnight or over the weekend. We work with boat and helicopter companies that provide cross-channel transportation services. I’d like to upgrade to the 800′ Parasail Ride. How can I do that? You absolutely can upgrade! We’re happy to book the traditional 600′ flight for you here. Should you decide to upgrade, simply let the Parasail team know when you check in. They will take care of the upgrade fee ($14) and make sure to bring along the extra 200′ of line. Are there group discounts or private Eco Tours available? Private tours are available upon request (up to 6 passengers per Jeep). Half Day (4-hour) and Full Day charters are also available and may offer a discount for groups of 5 or more per vehicle. Please inquire by calling us at (310) 469-9079. Rates may vary. Subject to availability and final count of guests per vehicle. Do I need a reservation for Discover Two Harbors? Yes. This is a popular activity that frequently sells out. Where is the departure location for the Catalina Island Air Tour? The Catalina Island Air Tour departs from the Pebbly Beach Heliport, which is located about a mile from Avalon. You can take a taxi or enjoy the stroll. Is the Catalina Island Air Tour a good activity for children? Yes. All children over the age of two will need a ticket. Children younger than two can ride on a parent’s lap. What’s the difference between Santa’s Happy Hour Tour and the Catalina Happy Hour Tour? Good question! Santa’s Happy Hour Tour includes seasonal cocktails along with holidays games and shenanigans. Both tours are a fun frolic through Avalon’s best watering holes. Is food available on the Bison Expedition? Food is not allowed on the Bison Expedition tour vehicle. You may bring a bottled water on the vehicle. Are there restrooms on the Bison Expedition? Restrooms are available before you board your vehicle for the Bison Expedition. There are no restrooms available on the vehicle. Can children participate on the Bison Expedition? No. This tour is fun for everyone whether you come fancy, costumed, or perfectly relaxed. If you’re in the spirit, we will have some festive items for you can wear while on tour. Is there any food provided on the Guided Snorkel Eco Tour? While food is not provided for guests, food is provided for the fish! Your guide will give you fish food once you are in the water. Booking Buffer. How much time should I allow before & after my Parasail Ride? Can I take pictures on the Guided Snorkel Eco Tour? Can I take pictures while on my Parasail Ride? Can I take pictures while on the Happy Hour Coastal Cruise? Absolutely! Definitely bring your camera with you and your wallet if you desire to tip the Captain. Do I need a reservation for my Guided Snorkel Eco Tour? While a reservation is not required, it is recommended. There are a limited number of times & guides available and they do sell out. Do I need a reservation for my Happy Hour Coastal Cruise? Do I need a reservation for my Parasail Ride? While a reservation is not required, it is recommended. There are a limited number of seats and they do sell out. Reservations are absolutely recommended on days when cruise ships are in port. Do I need a reservation for Whale Watching? While a reservation is not required, it is recommended. There are a limited number of seats – 6 to be specific and they do sell out. Minimum 2 passengers, Max 6 passengers. Do you offer Private Group Whale Watching Experiences? Yes, please speak to our Custom Packages and Groups Team. Rates and availability may vary. How far is the check-in location for the Happy Hour Coastal Cruise from certain areas? How far is the check-in location from certain areas to the Guided Snorkel Eco Tour? How far is the Whale Watching Trip’s office from certain areas? Is food or drink provided on the Happy Hour Coastal tour? Can I eat and drink while on the boat? Is there food provided with my Whale Watching Trip? Can I eat and drink while on my Whale Watching Tour? While food is not provided, you are welcome to bring bottles of water. Please no food. Parasail Ride: How far is the Parasail check-in location from certain areas?